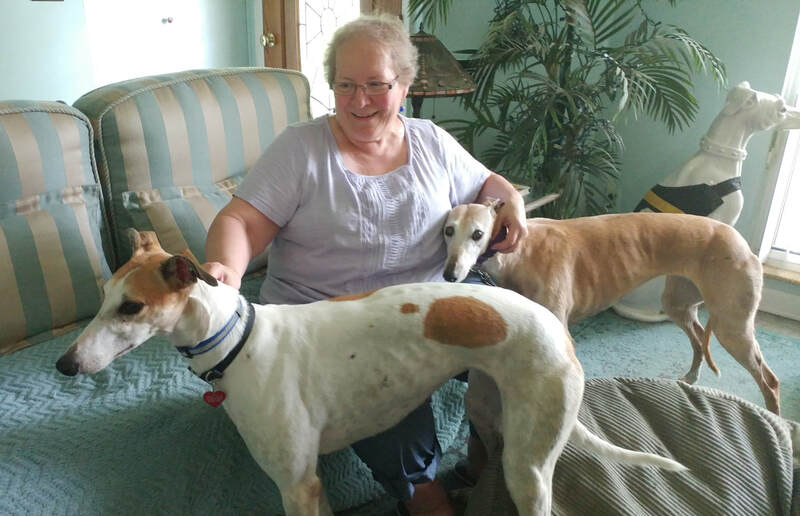 Kathy, our Dayton area adoption representative, has added BGR Pantera to her pack. Now called Tera, this white and red female joins Basia, Dave, Lucky and Katana. Kathy had been looking for another pet therapy dog and discovered while fostering Tera that she had the potential to do the job. You'll see Tera and several other members of the family with Kathy at many GAGC events and M&Gs.